BMX brakes aren’t always a popular part of BMX setups. 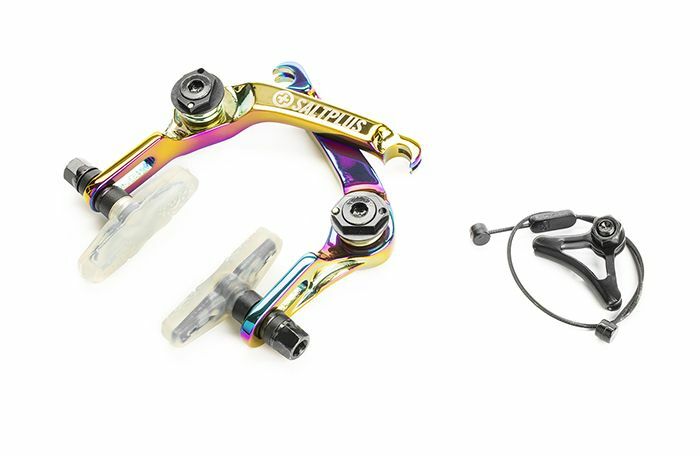 Regular riders that don’t dedicate themselves to flatland or large dirt riding probably won’t find brakes and gyros as important as a mountain bike rider. There are exceptions though and some riders do perform brilliantly with brakes attached to their bike. 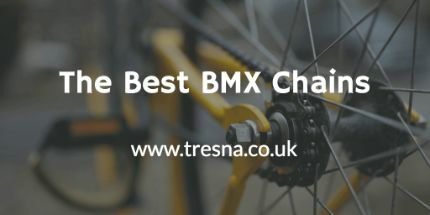 If you’ve ever bought a new BMX you’ll notice that they’re commonly shipped with just a rear brake so even the manufacturers aren’t seeing the importance of riding with brakes. 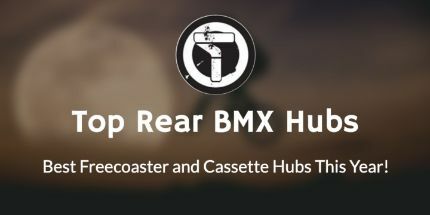 Older riders or BMXers with a lot of interest installing tricks have progressed to be the main practitioners of the BMX brake or gyro. I find it weird how the BMX gyro has progressed so much over the years and become much more advanced yet riders have become seemingly more and more adverse to the idea of riding with brakes. I remember on my first BMX bikes the gyro weighed more than some of the frames on the market right now. They were huge and I never thought I would be able to launch myself high enough on that chunk of metal to be in a comfortable position to throw the bars or the tail. I don’t think I really need to explain the reasons why people prefer not to ride with brakes but just in case, I will explain. 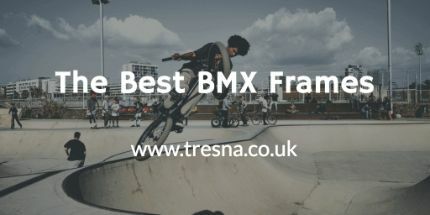 The BMX discipline has the most tricks and the easiest performable tricks of any type of bike and two very prominent tricks are the barspin and the tail whip. These both require the bars to spin completely all the way around. The gyro has been the obvious choice for allowing riders to do as many of these tricks as they like while also being able to brake. The more common way of allowing riders to do these tricks is to ride with an extra long brake cable that can be wrapped around the frame several times. 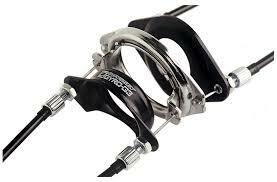 This can allow riders to spin their bars up to 6 or more times. 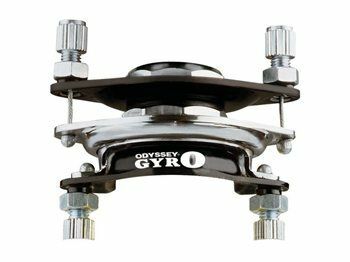 Very interestingly, the term gyro can only be used for the products made by Odyssey. The similar products made by other companies are called detanglers. V brakes are the style of brake you see on a mountain bike that doesn't have disks. A U brake is similar in mounting style but instead of the cable going across the top of the tire, they use a straddle cable that goes around the seat tube and hooks to either brake arm, then that is pulled by the regular brake cable that comes from your lever with a hook. 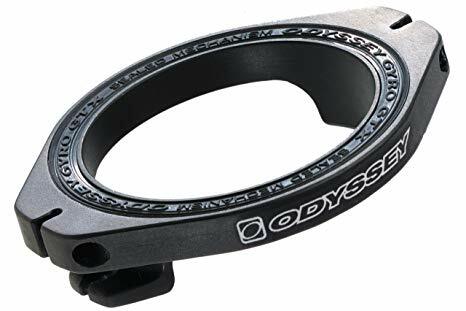 As you may have guessed from the number of Odyssey brakes and gyro’s on this list, they are the dominant brand in the BMX brake industry. Having said this, Odyssey doesn’t boast about their brakes as being their main product like Hope do in the mountain bike industry. 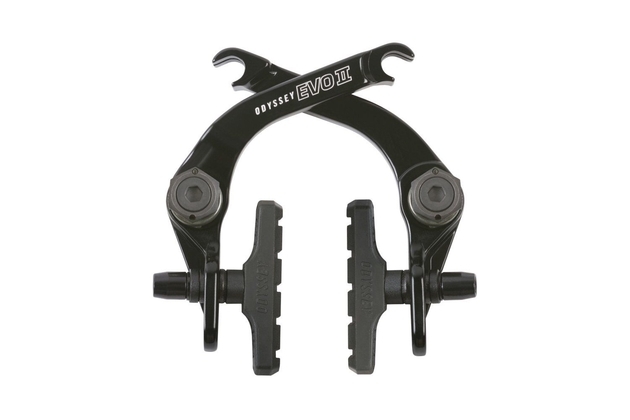 Currently, the Evo II U-Brake is the leading brake for BMX bikes. The innovative, modular design is great for the price it’s offered at. 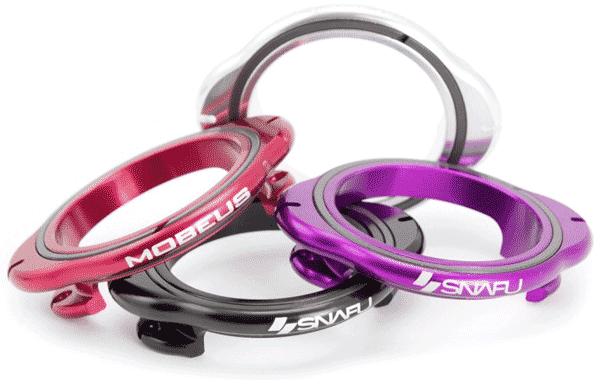 Straight out the box, this can be attached as a front or rear brake on almost any BMX frame. Unlike V brakes, the U brake design has double lugged cables that straddle the wheel. This design has been developed from the older Evolver design and the refinement has allowed for the use of nearly any brake cabling option. Odyssey has altered the manufacturing process a little for this brake. New tooling was created to allow the brake to have a sleeker side profile. The arms are now forged prior to the machining in order to add some strength and durability that probably wasn’t really needed but who’s going to say no to stronger BMX parts. The reason for this extra strength is the fact that the parts have been forged and not machined like normal. 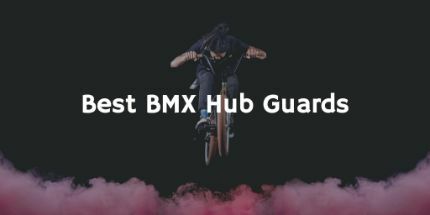 If you’ve read any of the previous articles on this site you will probably know that Fly Bikes are one of if not my absolute favourite BMX brand. My current and favourite BMX bike is a Fly Bikes Neutron. That bike was built with a Springhanger brake installed and though I have now taken it off, it was a wonderful brake and I had no worries stopping in almost any situation. Forged from 6061-T6 alloy, just like the Odyssey, this brake uses the newly designed springhanger system. This new system makes setup much easier than previous braking systems due to the elimination of all springs. If you one day decide it’s time to learn barspins or tailwhips it won’t be overly hard to remove your brakes. Instead of using springs Fly have managed to develop a bent metal rod that acts as a form of spring. As shown on the diagram below, the brake cable will pull on the small join between the metal rod and the cable. This will push the pads onto the wheel and pull the metal rod together, applying tension to it. This means that when the brake is released the metal rod will try and go back to its original position, pulling the cable back out and the pads away from the rim. 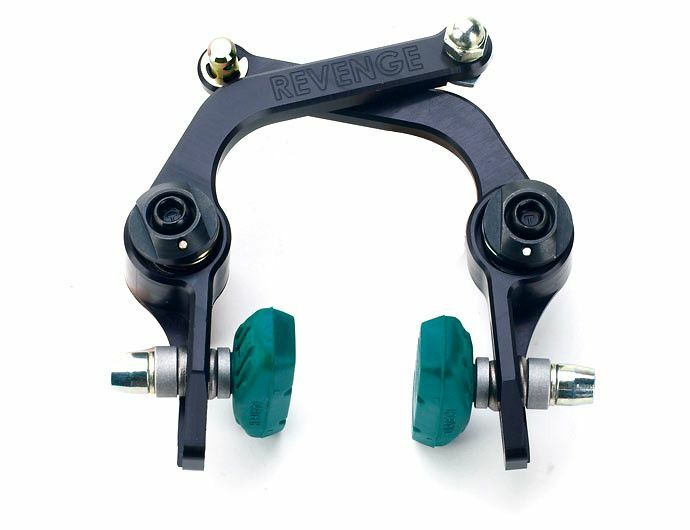 The Revenge Industries bike brake is probably the lesser of the famous brands on this list. It would be a mistake not to appreciate their brakes just as much as the ones manufactured by the more well-known brands. The distinguishing feature of this brake is the cable clamping. Most modern brakes now use cables with small circular knobs on the end. These then slot into the brake arms. A lot of people prefer this as it prevents freighing, which we all know hurts when they’re poking at your legs. Revenge brakes don’t use these knobs. The regular naked cabling is used. These cables and brakes make it much easier to set up and ride a gyro because you have no annoying metal knobs on the end of your cables you need to thread through small holes. It all comes down to personal preference but I don’t enjoy brakes with internal springs, I always find they’re much harder to align and set up correctly. The Demolition Vulcan brake goes back to the regular sprung arms like most regular BMX brakes. A slight disadvantage between this brake and a few of the previous brakes is the fact the Vulcan V2 was CNC machined. This does reduce weight but the arm strength won’t be as strong as some other brakes. Sealed bearings are also featured on this brake in order to create a smoother, more even pivot when braking. I already know this will be helpful in a great number of situations. Oftentimes when braking with V and U brakes one side will be pulled more than the other. This can become annoying very quickly, having one brake pad touching the rim first can wear that down much faster while not actually giving you any braking advantage. You only have to take a look at the brake image to see that it’s designed in a great way for reduction of weight and to fit on a darker coloured bike in a beautifully subtle way. This low profile design helps those with the smaller backends and irregular bike profiles that will have problems with chain clearance. Having a chain that constantly rubs on the rear of the frame or one that bounces around every time you ride off a kerb can be very detrimental to your paint job and the durability of your bike parts. I know the pain of this problem all too well after getting injured from a snapped chain that had worn out. All the lovely features of this brake are great and it makes it a lovely brake to ride although there are problems just like any other cycling brake. Mainly, the cable hanger and bolts are pretty badly designed. They don’t keep the brake cable in place nearly as reliably as it should. If you’re looking for a very subtle brake that you can very easily put on and take off then this brake will be a great option for you. Drew Bezanson is, in my opinion, the greatest BMX rider currently riding. Some of the tricks he comes up with and pulls off blows my mind every time I see them. I would be doing you a disservice if I didn’t recommend you go and watch some of his videos right now. Anyway, now I’ve finished swooning over Drew Bezanson, I will explain that this is his signature brake that he designed and developed with Shadow. The Sano brake has been CNC machined from 6061 aluminium and is fitted with low profile springs and adjusters to help with a slight weight decrease and chain clearance. This brake may look smaller and possibly weaker than some other brakes on this list but I would disagree. The manufacturing of Shadow and their other products put me at a great ease. Also the insane stress and durability a brake will need to have to be able to deal with some of the landings accomplished by Drew means this brake will be much stronger than your first impression. This isn’t the cheapest BMX brake online, priced at around £50, but I believe it’s worth it. 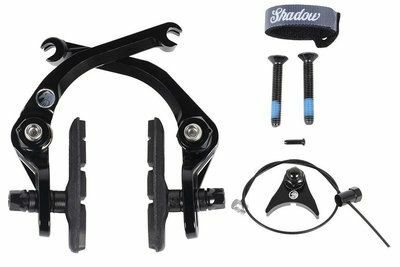 Shadow sell this brake along with extra strong braided steel straddle cable, aluminium cable hangers and clear brake pads. I would recommend clear brake pads for anyone with darker or painted rims on their bike. It has been reported by many riders that clear pads leave less of a significant mark and will leave the rim paint in place much longer than other colours or materials will. Saltplus is another great BMX brand you’ve probably previously heard of. Unfortunately, I can’t boast many vastly different features between this brake and others on this list. 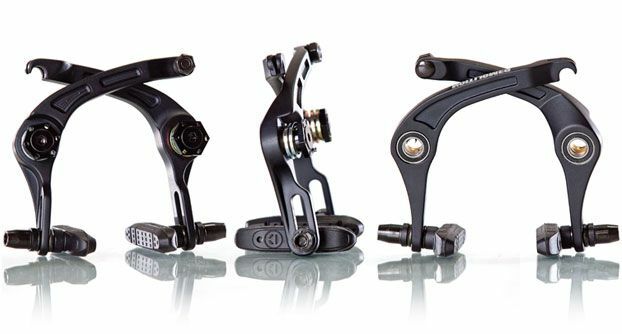 It is a very good brake but there aren’t massive differences that will persuade you into or out of buying this brake. Just like others, the Echo brake is melt forged and CNC machined from 6061 T6 aluminium alloy for a better weight but less strength. It will also come with the clear propeller brake pads. Again, clear pads are usually the best choice and Saltplus have researched and designed these brilliantly. To make up for the slight weight loss of CNC machining, the company have designed the brake arms in a slightly different way. There is no flex and the thicker, solid arms provide great braking power for any riding style and situation. The Springfield by Odyssey is the only full brake set on this list. This means you’ll get the cables, hangers, the brake lever and the brake itself. If you’re a newer rider or are looking for a great quality, cheap set then this would be a great purchase for you. 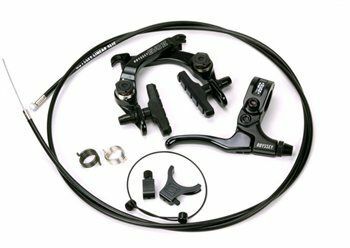 When initially designing this brake set Odyssey set out to make a brake that can be thrown on quickly and not cost a bomb for new riders or people that don’t want to ride a brake constantly. This is definitely not the best individual brake on this list but for the right person, this is perfect. The weight is tremendously lower than a lot of others, way down at 94 grams. The Springfield lever can also be flipped and be used on the left or right side of the bars. This may sound pointless if you’ve only seen or ridden bikes with levers on one side of the bars but in fact, around the world, different countries have different norms for the side of the bar they ride. For example, in England, I have only ridden bikes with the back brake on the left-hand side but I know that it’s very common in America to have your back brake on the right-hand side. Odyssey has eliminated the dual spring system that’s very common on U-Brakes. Instead, Odyssey has opted for a single spring system that eliminates any amount of adjustment that you’d normally need with a dual spring system. 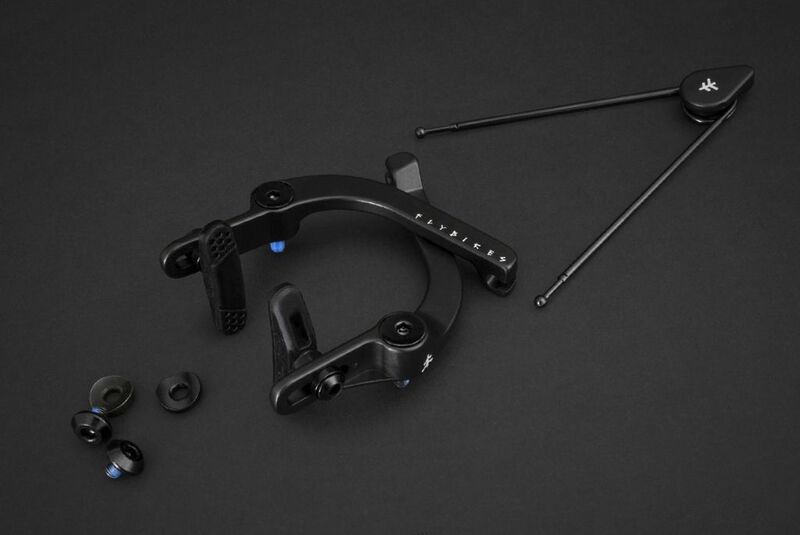 Assembly has become very simple with the release of this brake, you can now throw this on the front or back of your bike within minutes. The BMX detangler or gyro is an old invention for the freestyle BMX. It was designed for the sole reason of allowing the bars to rotate 360 degrees around the frame an infinite amount times while also allowing you to keep braking. Gyro’s are usually only used on the rear brake because the front brake is used, can be threaded straight through the stem and down to the brake itself thus resulting in no tangling at all. In order to set up a detangler on a bike, you will need some different cabling. After leaving the lever, the cable will have to split into two before going down either side of the stem and attaches to cable stops. The inner wire then goes down and attaches to the top side of the detangler. On the underside of the gyro, there are more cables that are attached in the same way before going down a little further and going back into some cabling before being routed down the frame to the rear brake. When you pull the brake lever it will pull the cable just like normal and it will pull the whole detangler up with it. This results in regular braking but since the cable is split between the upper and lower sections it can spin around fully without any entanglement. 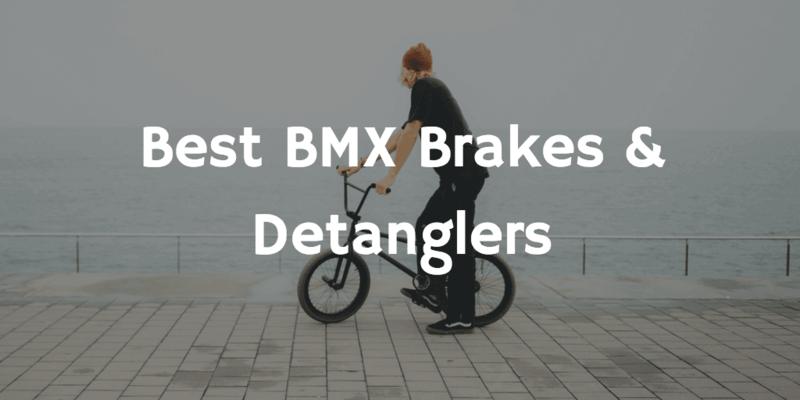 Unfortunately, there isn’t much difference you can review between a lot of BMX detanglers. The biggest differences are often just the colour, the brand stickers and slight changes in shape and materials. The Snafu detangler is a CNC machined and extruded billet alloy. It has been designed with a gorgeous curvature to it and if you can get the right colour that matches your bike then it’ll fit perfectly and you’ll barely see a difference on the frame. In order to keep the brakes and rider safe under heavy braking, Snafu have located the snap ring on the underside so the detangler can’t pull apart in any situation. The G3 is the standard and original gyro from Odyssey. I wouldn’t say it's the sleekest or prettiest gyro ever made but its very reliable and is one of the easiest gyro’s to install on your bike. Since it has a bottom plate attached to the gyro setup you will not need gyro tabs on your frame. Gyro tabs are little right angled pieces of metal that attach to your frame and are used for the brake cables to when fitting a gyro on your bike. They reduce a lot of weight from having a bottom plate but they’re much harder to install and setup separately. If you’re looking for a reliable model or one that is simple enough to install without worrying about compliance with your frame then you won’t go wrong with the Odyssey G3 gyro. The GTX S gyro by Odyssey is a much more modern and sleek design than the original G3 above. They have evidently learnt a lot from the first model to develop this and the GTX-R model. The GTX-R is a slightly higher quality and more expensive version of this but the actual difference is minimal. Unlike the previous Odyssey gyro, this one is much simpler, being developed without a bottom plate. This means you will have to buy and install gyro tabs to use this gyro. 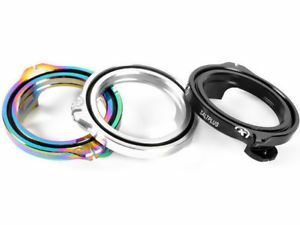 If you’re looking to buy this gyro ensure you have the ability to install these gyro tabs on your bike. Not all of them do and if yours doesn’t then you’ll have wasted your money. The last detangler on our list. The Geo detangler is very similar to the GTX S, reviewed above. Saltplus have designed a nice poly-slip and ball bearing movement backed up by being sealed inside the gyro itself. This is great for riding on trails or anywhere wet or muddy. 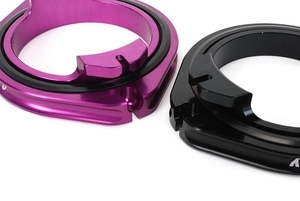 The sealed bearings will also let the detangler rotate super smoothly and easily whenever you’re spinning your bars. The way it has been developed is also like the previous detanglers as it has a low stack height and elements that prevent snapping under heavy braking. A slight difference is the material Saltplus have used to manufacture it. They’ve used 7075 T6 alloy that’s been CNC machined into the lovely gyro design.